He is the Disability Policy Specialist for the Partnership for People with Disabilities at Virginia Commonwealth University, a position he has held since 2010. Mr. Brandt was a Disability Rights Advocate at the Virginia Office for Protection and Advocacy from 2008 to 2010, and a Disability Policy Consultant for the State of Virginia from 2006 to 2008. He was also a Virginia Governor's Fellow at the Office of Community Integration for People with Disabilities in 2006. Mr. Brandt served on the Virginia Community Integration Advisory Commission and the Virginia Statewide Independent Living Council until 2012. 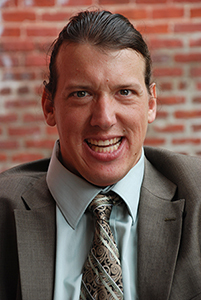 He received the Colorado Award from the Virginia Department of Aging and Rehabilitation Services in 2013, the Participatory Action Research Award from The Arc of the U.S. in 2012, and the Jackie Crews Award for Excellence in Leadership from the Virginia Board for People with Disabilities in 2006. Mr. Brandt was first appointed as a member of the President's Committee for People with Intellectual Disabilities in 2010 and he served as Chairman in 2016-2017. He currently sits on the national board of the Association of University Centers of Disabilities. Mr. Brandt received a BA from James Madison University and an MS from Virginia Commonwealth University.